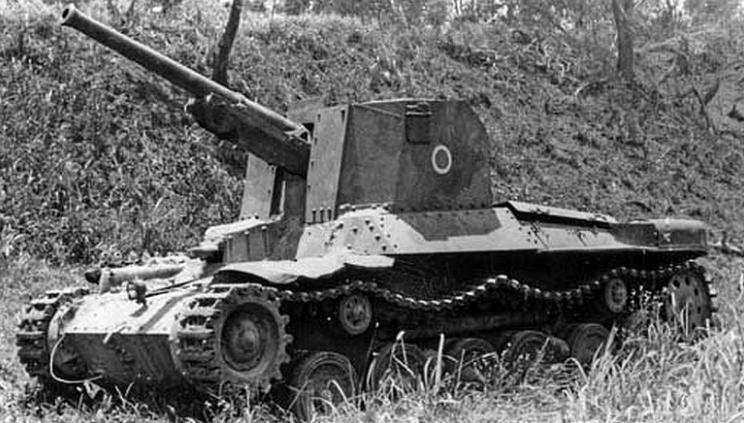 The Ho-Ni was the first Japanese SPG and tank destroyer of the war. 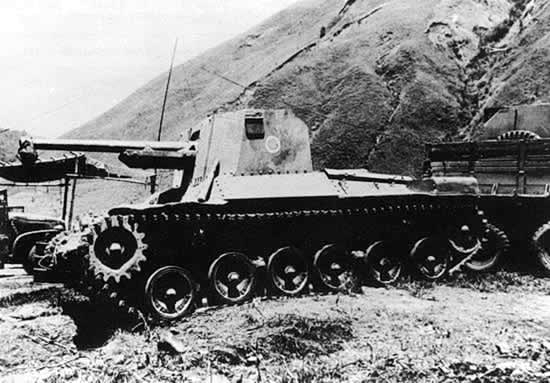 Work on such a vehicle started under the influence of German experience, after the IJA’s main battle tank, the Type 97 Chi-Ha, first encountered the M4 Sherman. The Head of Staff devised a two-pronged response. Firstly, the Type 97 itself was overhauled and a new, more powerful 45 mm (1.77 in) AT gun was fitted. Secondly, an SPG with a more powerful gun was ordered, based on the Type 97 chassis, because the Type 97 turret was too cramped. The gun was the Type 90 field gun, a powerful piece of field artillery, which had a good muzzle velocity. The Type 1 Ho-Ni I was basically a turretless Type 97 chassis with some modifications to the hull and a Type 90 gun mounted on the former turret ring. The turret ring was left partially open, to allow access to the ammunition stored just below. The gun was protected by a three-panel shield, which left the crew unprotected from the rear. However, this was compensated by the strength of the 50 mm (1.97 in) armored plates. An additional set of 16 mm (0.63 in) plates were bolted on the hull. The vehicle was stripped of the hull machine-gun, to make room for ammo storage. It could carry 54 rounds. The gun, inside its new mounting, had 10 degrees of traverse and -5 to +25 degrees of elevation. Maximum range in indirect fire was about 12,000 m (7.5 mi). Production started in late 1942 and lasted until November 1943, with 124 units delivered. By then, it was superseded by the more powerful Ho-Ni II, featuring a 105 mm (4.13 in) field howitzer. The Ho-Ni I saw service in Luzon, and took part in the battles following the invasion of the Philippines in 1944. However, the US Army and Marine’s Shermans were far too numerous for the Ho-Ni to have a real impact during the campaign. The remainder stayed in Honshu and Kyushu, the Japanese home islands, in the prospect of facing the invasion planned by the Allies, Operation Olympic. These were later captured, and never saw combat. Luzon Island, Philippine campaign, fall 1944. Kyushu island home defense AT platoon, 1945. 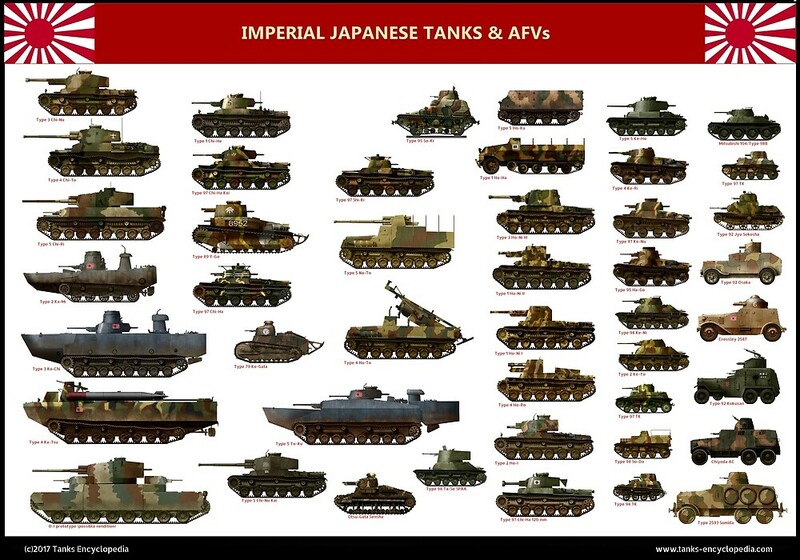 I don’t actually think this was the first Japanese SPG. In 1941, the Type 4 was built with an old mountain howitzer as its main armament. If I’m wrong, sorry. The number next to the Type designation is not random or a simple countdown, it is related to the Japanese calendar. And so you can see that Wikipedia is wrong, and the Ho-Ro actually dates from 1944, not 1942. Hi, just noticed the top picture of the Ho-Ni I on the snowey fields, its actually a Ho-Ni II, you can tell by the thickness and size of its 105mm gun compared to the 75mm gun from the other one, and more easily to notice is the support placed underneath the gun, which covers most of the gun, while with the Ho-Ni I the support on reaches halfway as seen in the bottom photo and on the two diagrams on top. By searching aroud the internet there seems to be many photos of the Ho-Ni II around, however many of these seem to be wrongly catalouged as Ho-Ni I, although sometimes it gets kinda hard to tell. The image has been removed and replaced, thank you. I’d like to comment regarding your last statement in the above information. You stated that “None survived to this day”. There are a couple of excellent walk arounds of the single example of the type 1 on the net.